Offering budget rajasthan package tours to enjoy visit to fort palaces, camel safari, heritage, cultural & rural tourist attractions along with budget taj mahal and online budget rajasthan tour bookings. 13 days "Budget Rajasthan Tours" itinerary is specially design for budget travelers, keeping in mind the budget and convenience of the visitors. Each penny you spend here is worth and still you will be able to see the glimpse of main sightseeing attractions and broad theme of Rajasthan which will mesmerise you along with Rajasthan we have also added the wonder of world Agra Taj Mahal and some of the finest attractions of north india golden triangle. Upon arrival at IGI airport tour guide will meet you after completion of immegration formalities and transfer to the hotel of your choice as mentioned in final itinerary. Overnight stay will be at Delhi. Early morning take breakfast in hotel and then guide will brief you about the todays plan and sightseeing to visit in agra, ready to drive to Agra – the City of Taj Mahal. 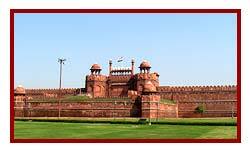 On the way visit Sikandra famous for great Mughal emperor Akbar's Tomb. On arrival in Agra, check-in at hotel after brief refreshment proceed for sightseeing tour of Agra visiting the Taj Mahal, Agra Fort, Itmad-Ud-Daullah Tomb and Local Markets. Taj Mahal is one of the Seven Wonders of the World. Dinner and overnight will be at the hotel. 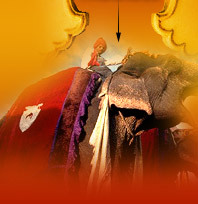 After breakfast leave for Amber Fort and enjoy caparisoned Elephant ride to visit magnificent palace and halls. Visit other major attractions of Jaipur – City Palace, Jantar Mantar, Hawa Mahal, Jaigarh Fort, Jal Mahal, Nahargarh Fort, Alsisar Haveli, Rambagh Palace, etc.. If time permit ( approx. 4-5 hours ) you can visit elefantastic a must visit place in Amer ( where you can enjoy and take a ride of elephant a must visit attractions of jaipur and highly recommended adventure activity offers incredible experience with group of elephants along with ride and safari). Overnight at the hotel. After breakfast, go for shopping in local market of jaipur & then later proceed to Bundi. On arrival, company guide will transfers you to the hotel. 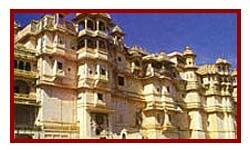 Go for sightseeing tours of the famous historical monuments Taragarh Fort, Sukh Mahal. Enjoy dinner and overnight at hotel. After the breakfast, drive to Udaipur the city of lakes. On arrival, transfers you to the already booked hotel. Freshen up and relax. Dinner and overnight will be at the hotel. After breakfast, proceed to visit City palace that over looks Pichola Lake and other sightseeing places like Jagdish Temple, Day at your own, Enjoy dinner and stay overnight at hotel. Palaces in Udaipur City Palace, Lake Palace, Jag Mandir Palace, Monsoon Palace, Shiv Niwas Palace, Sajjangarh Fort, Fateh Prakash Palace, Devigarh Fort Palace, etc. Breakfast will be at the hotel. Morning proceed to Jodhpur, on the southern edge of the Thar Desert. Rao Jodha founded Jodhpur in 1459 A.D., visiting en route the temples of Ranakpur, which are the most exquisite and important Jain temples in India. On arrival to Jodhpur directly transfers you to the hotel as mentioned in itinerary. Dinner and overnight will be at the hotel. After breakfast, embark on Jodhpur city tour. Highlights of Jodhpur - Mehrangarh Fort, Umaid Bhawan Palace, Balsamand Lake, etc. Later proceed to the ancient desert town of Jaisalmer. On arrival, representative will transfers you to the pre booked hotel. Check-in at hotel. Visit Sam sand dune; a cultural extravaganza of Rajasthan. Enjoy dinner and stay overnight at hotel. After breakfast, proceed to city tour of Jaisalmer covering places like The Golden fort or Sonar Quila, Patwon ki haveli, Salim Singh ki haveli and other beautiful havelis. Discover the honey-coloured fort that emerges from the flat dry desert sands and enjoy a walk through the maze of narrow streets in the city with ornately decorated havelis. In the evening enjoy camel ride by the sand dunes. Dinner and overnight will be at the hotel. After breakfast at the hotel drive to Bikaner. On arrival at Bikaner transfers you to the pre booked hotel. Later proceed for the sight seeing tour of the city visiting the forts & palaces. Junagarh Fort, Lalgarh Palace and Gajner Palace are worth visit attractions. Dinner & Overnight at Hotel. After breakfast, proceed to Mandawa. On arrival at Mandawa transfer to the hotel as mentioned in itinerary. In the afternoon, relish sightseeing tour of the havelis and various colorful Bazaars. In evening one can enjoy camel ride. Mandawa is desert place in Shekhawati region and also famous for most adventurous camel safari. Dinner & overnight will be at the hotel. After breakfast depart to Delhi and visit some of the heritage sights of delhi like red fort, jama masjid, qutub minar, birla temple, lotus temple and akshardham temple. Over night stay will be at Delhi. to connect the flight for onward journey / Home from well compilied & managed budget trip of Rajasthan with memories of various traditions, culture and history of the royal state. After breakfast go for last minute shopping in local market of delhi, like karol bagh, janpath and dilli haat and later in evening transfer to airport for onward journey / Home from well compilied & managed budget trip of Rajasthan with memories of various traditions, culture and history of the royal state.